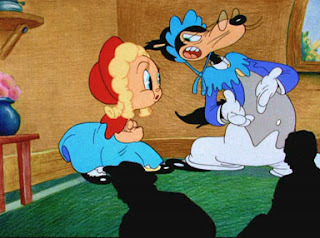 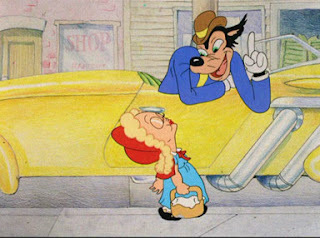 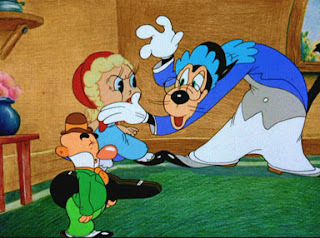 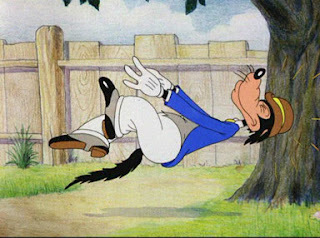 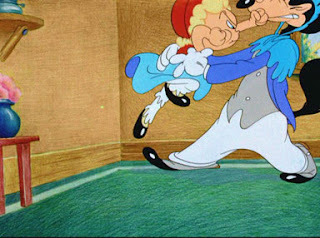 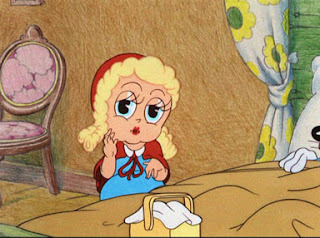 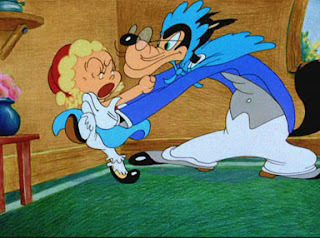 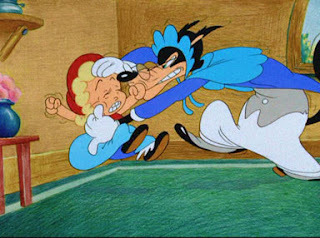 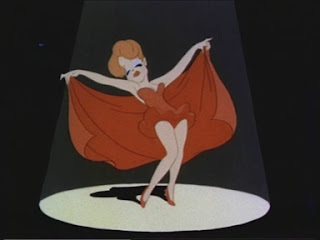 "Little Red Walking Hood" (11/6/1937) is Tex Avery's first fairy tale spoof, and it sets the tone and pace for the similar cartoons that Avery will make at WB in the following few years ("Cinderella meets fella", "The Bear's Tale"). 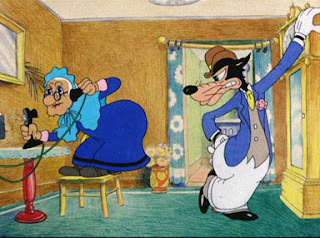 What sets this particular cartoon apart from the rest is the fact that nearly all the backgrounds have been drawn with colored pencils. 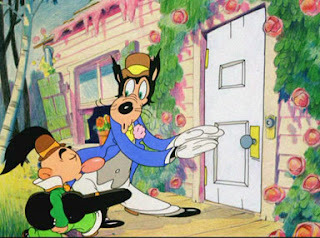 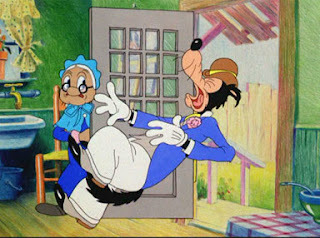 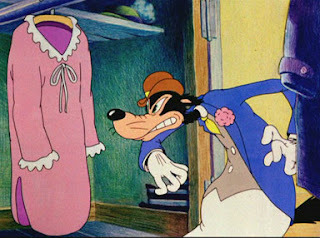 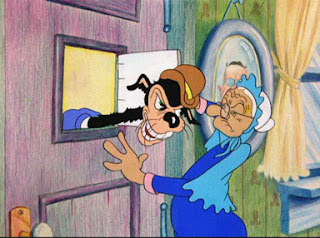 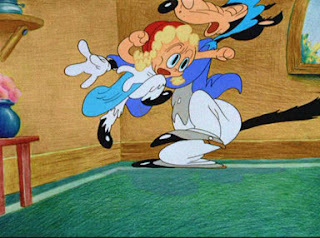 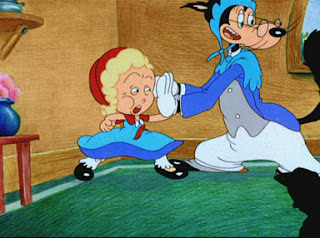 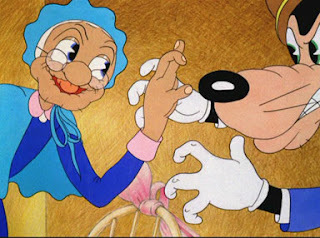 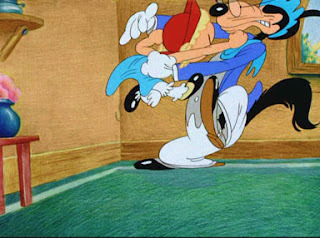 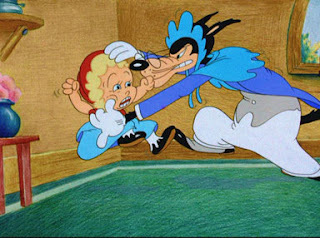 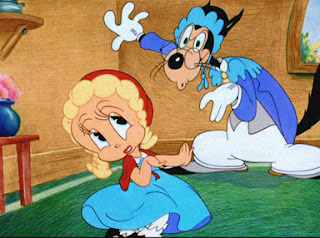 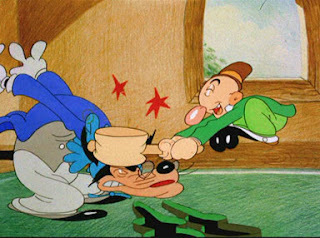 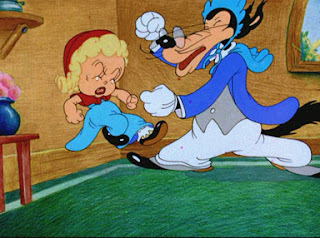 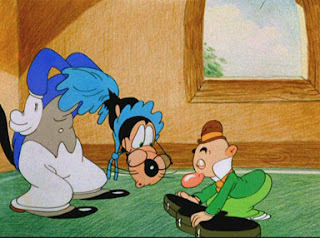 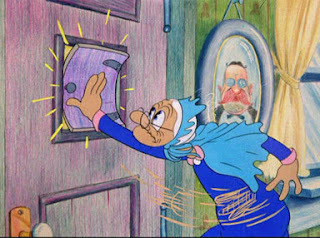 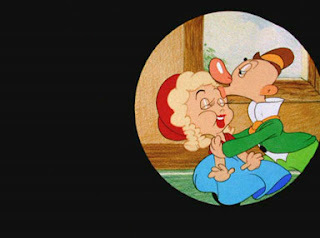 This technique resulted with a very unique storybook look, quite unlike any other Hollywood cartoon of that time. 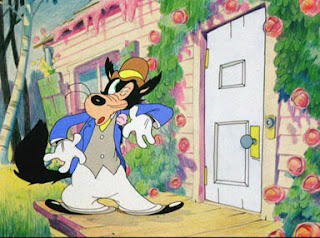 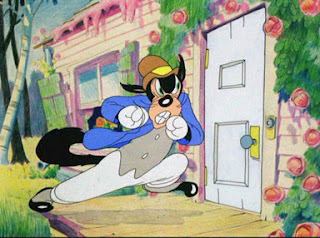 Backgrounds were designed by Johnny Johnsen (sometimes credited as John Didrik Johnsen), Avery's favorite background artist, and his frequent collaborator at WB and MGM studio. 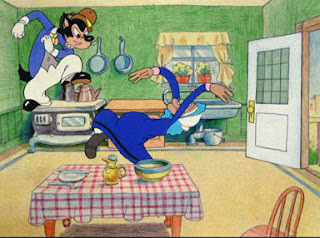 Another particular highlight of this cartoon is the animation by Irv Spence. 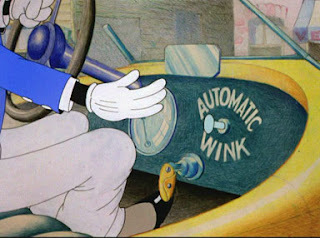 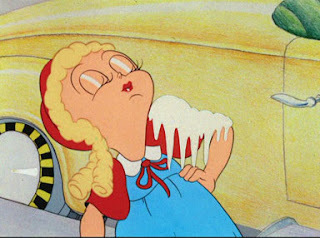 Many of the other Avery's cartoons from the late 1937-39 period featured an indifferent and not too interesting animation (in comparison to his wonderfully inventive gags and ideas). 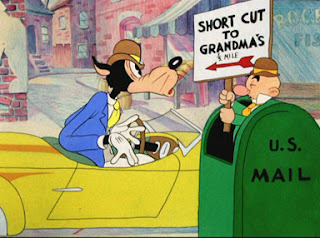 This cartoon is one of exceptions. 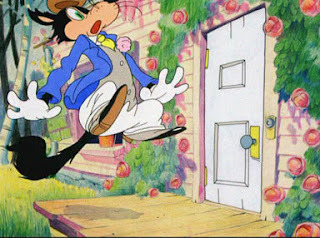 Spence is now mostly known as one of the principal animators on Tom & Jerry (he was responsible for some of the funniest and best animation of the famous cat & mouse duo), but the earlier parts of his career were spent at Iwerks, WB (Avery's unit in 1937) and Charles Mintz (Columbia) studios. 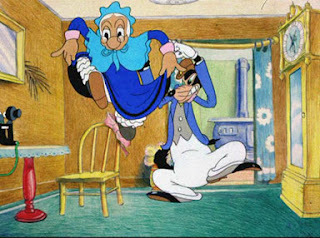 Spence loved this particular cartoon so much, that he saved all of his original drawings. 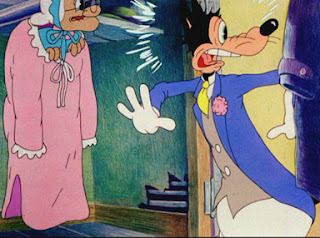 Because of that, it's easy to identify which scenes were animated by him, and I included the large number of consecutive frames from some of these scenes. 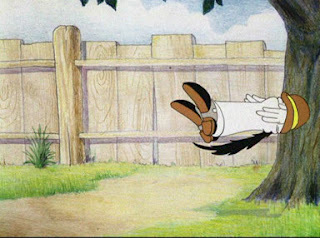 This is the second appearance of Egghead, a character that debuted several months earlier, in "Egghead Rides Again". 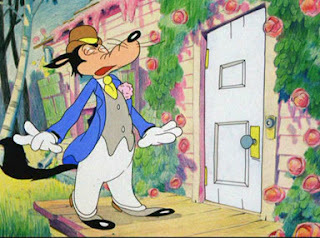 In this cartoon, he's almost some kind of precursor to Droopy. 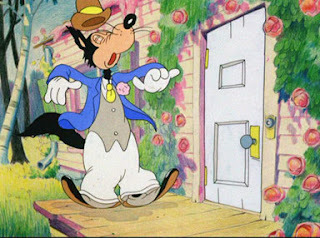 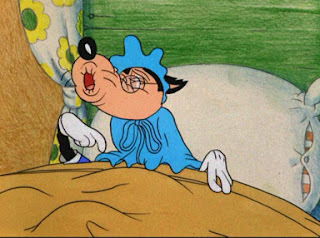 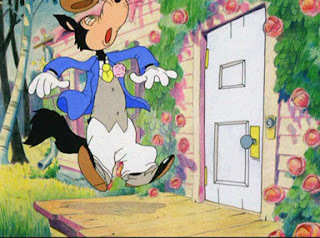 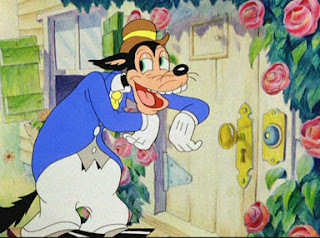 Wolf was voiced by storyman Tedd Pierce. 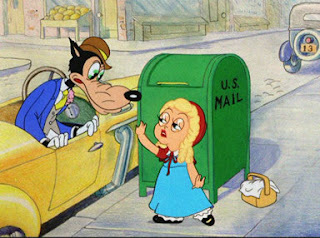 Little Red Walking Hood is imitating Katherine Hepburn, both with the voice, and the typical body mannerisms. 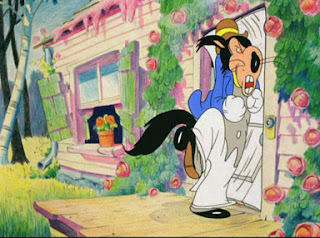 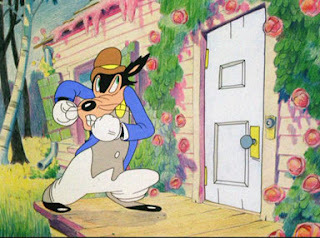 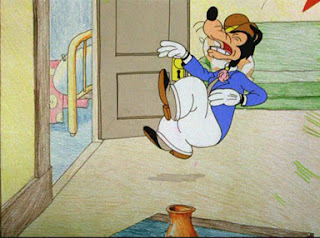 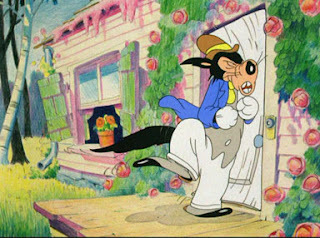 Here are the screenshots taken from the new restored print that appeared on Looney Tunes Golden Collection vol.5. 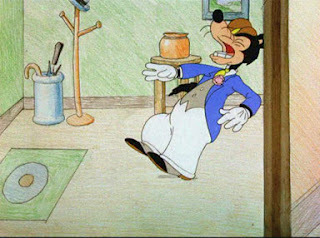 The result: one of the greatest and most legendary short cartoons ever... but that's another story. 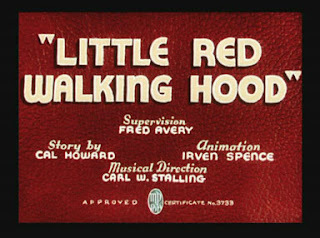 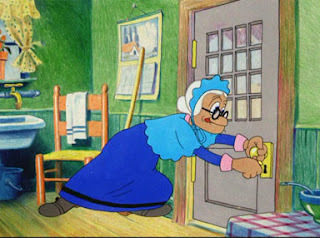 Irv Spence's animation of the wolf really is what makes "Little Red Walking Hood" a success. 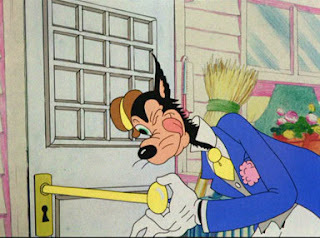 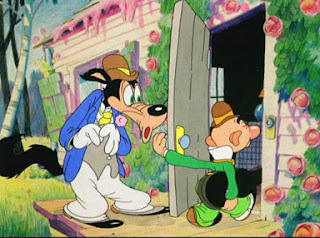 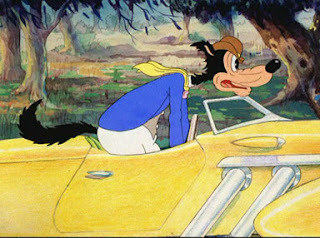 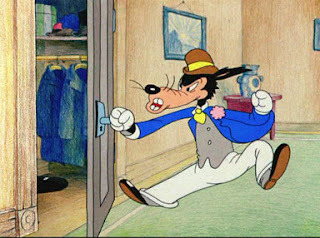 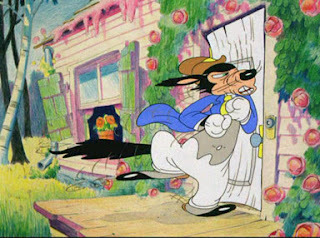 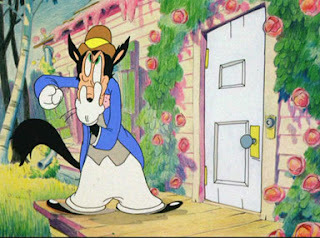 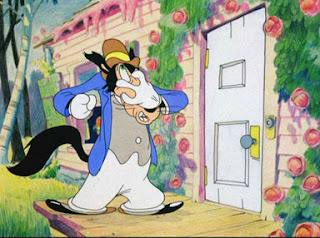 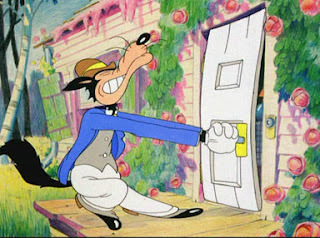 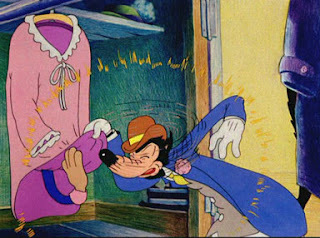 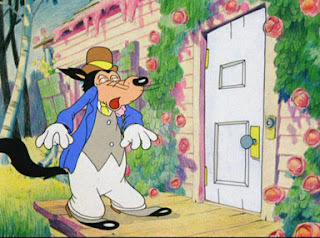 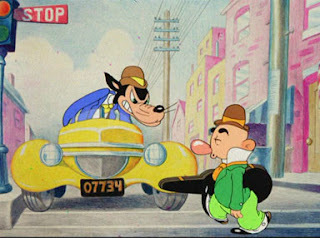 Tex in "The Sneezing Weasel" and Clampett in "Porky's Hero Agency" had already ventured into the area of the purely comic villain -- who unlike past cartoon bad guys was far more funny than menacing -- but this was the first cartoon where the supposed villain was animated as a source of comedy throughout the entire cartoon, with funny actions and looks, and with not an iota of actual menace. 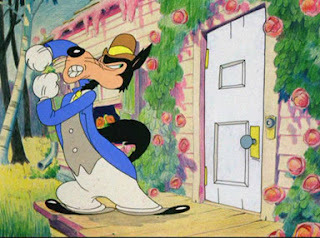 It would be the blueprint for Warner's future bad guys like Elmer, Yosemite Sam, Wile E. Coyote and Sylvester. 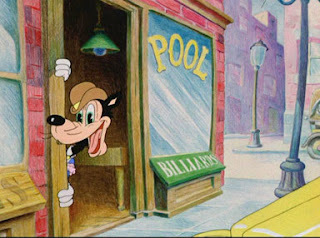 Irv Spence was a great animator - his career really flourished when he left Schlesinger's and went cross town to MGM. 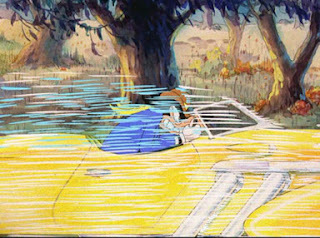 I agree with J Lee - his work on this short really makes it work for me! 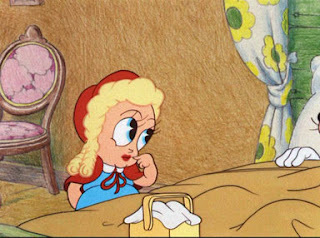 Red Riding Hood is immitaing Bette Davis, not Kate Hepburn. 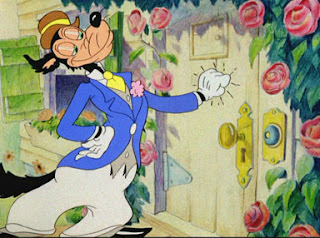 Happy New Year, to you and your cohorts. 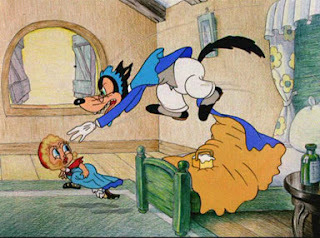 Later, and have a good one. 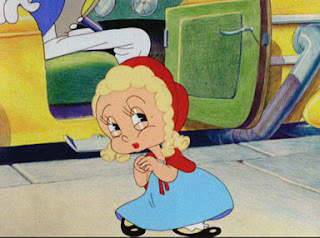 everythime you see a cartoon female character say "really..." that's an imitation of Hepburn. 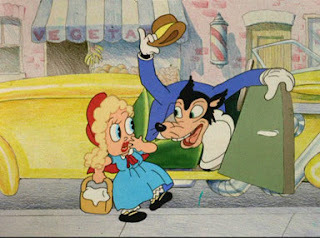 Love the animation in this cartoon! 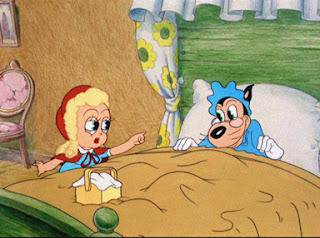 Spence pwns all. 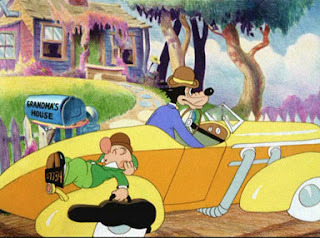 This cartoon looks dang good!! 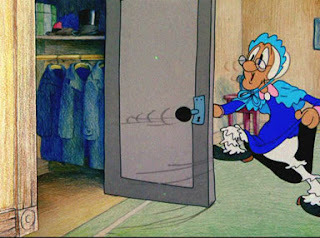 J.Lee: thanks for the comment! 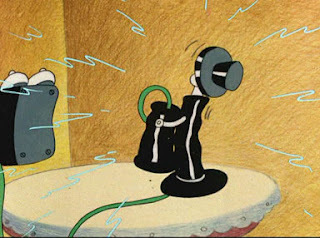 I never thought of this before... quite fascinating. 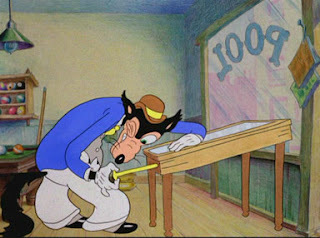 Bruce: thank you, and I wish you all the best for 2008. 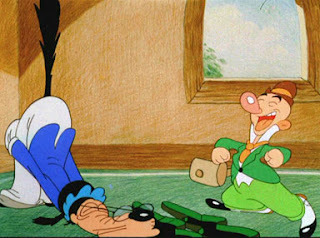 It's pity that you stopped with blogging, especially after such a terrific start. 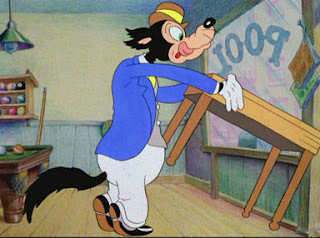 Hope to hear more of you soon, and good luck with your adventures in animation. 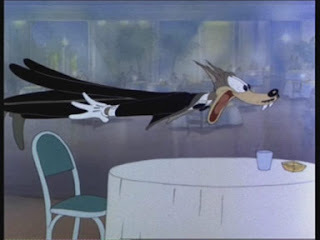 Thad: Yes! 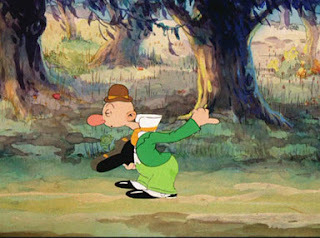 His animation truly stands out from all the rest in this cartoon. 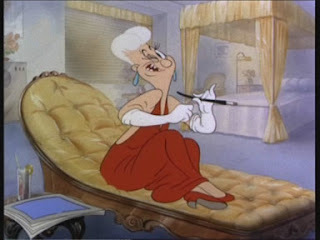 "everytime you see a cartoon female character say "really..." that's an imitation of Hepburn"
Well, actually 1930's RKO era Hepburn before smoking deepened her voice to how most people remember it. 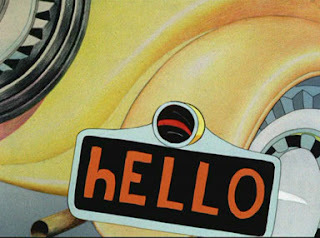 Great post Andrea! 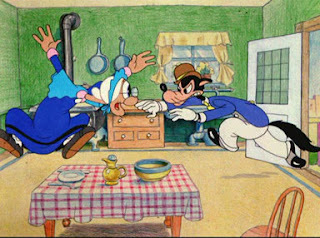 I liked this cartoon with this unique background. 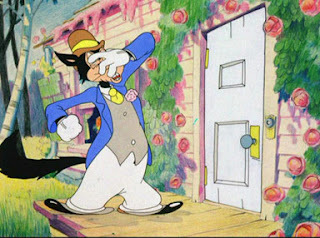 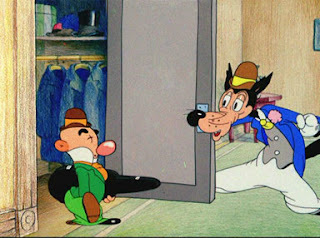 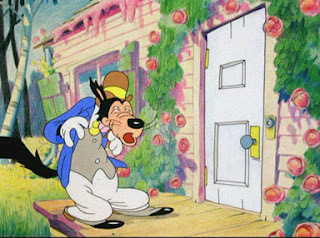 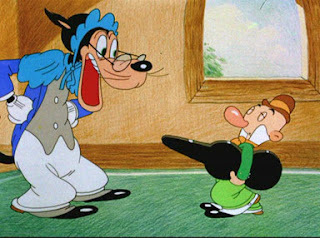 Is this the only Warners cartoon with backgrounds coloured this way? 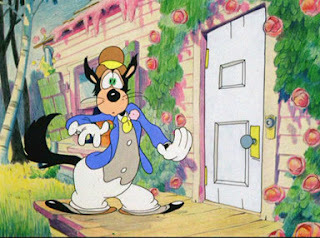 As far as I know this is the only cartoon EVER made by any Studio to use sych backgrounds. 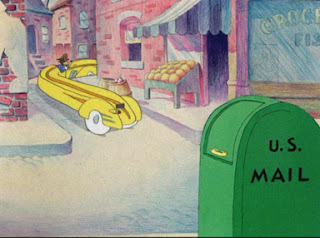 I love the backgrounds in Little Red Walking Hood. 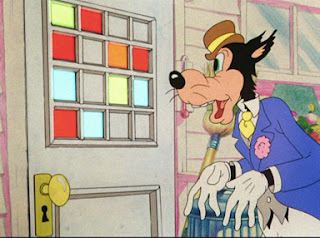 The coloured pencils really makes it stand out as something unique. 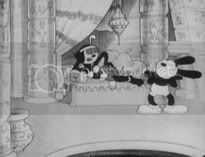 Was this technique use a lot, as this is the only cartoon I have seen that seems to have used this technique?